Sony supplying 8 Megapixel cameras to Apple For iPhone 5? 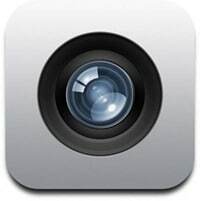 Home iPhone Sony supplying 8 Megapixel cameras to Apple For iPhone 5? Sony CEO Sir Howard Stringer, during an interview with Wall Street Journal, was talking about the earthquake damage to 15 of the Sony’s factories in Japan. During the interviewed he mentioned that in one of those plants they were producing camera sensors for Apple, and would cause a delayed delivering the camera sensors to Apple because of the quake and tsunami. Apple iPhone 4 currently support a 5 Megapixel camera and it would make sense for Apple improving the camera in the next model of the iPhone, and most newest Android devices comes with 8 Megapixel cameras in it. if this is true then it could also cause a delay for the next iPhone. which is another rumors going on.